Sheikh Zainuddin Makhdum II, author of Tuhfatul Mujahideen and Fathul Mueen, was a heroic personality in history as he had played a major role in achieving social and religious renaissance, especially in the south Indian state of Kerala. Unfortunately, his life and books have not been studied as they deserved. 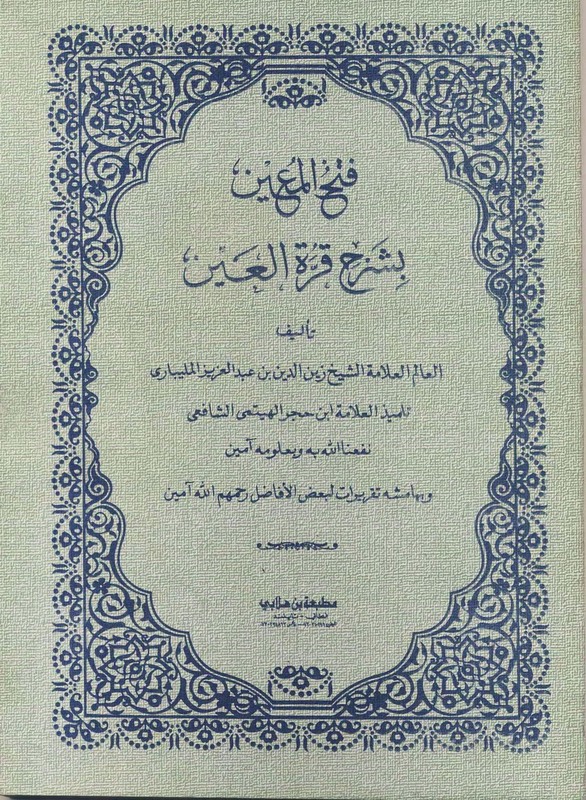 Tuhfatul Mujahideen is the first ever written history of Kerala or Malabar while Fathul Mueen is a widely accepted textbook on Fiqh or Islamic jurisprudence, especially by the Shafii school of thought and Egypt’s Al-Azhar University. The Makhdum family came from Ma’bar, Yemen. They visited the South Indian coastal cities of Keelakkara, Madurai and Kayalpattanam to propagate Islam. Sheikh Ali bin Ahmed Al-Ma’bari and his brother Sheikh Ibrahim moved from Kayalpattanam, a place now in Tamil Nadu, and settled in Kochangadi, in Kochi in the 15th century CE. The word Ma’bari has been misunderstood as Malabari (which means from Malabar) by some historians, which is a grave mistake. Zainuddin Makhdum I, whose full name is Sheikh Zainuddin bin Ali bin Ahmed Al-Ma’bari, was born in 1465 at Kochangadi. After the death of his father, Zainuddin came under the guardianship of his uncle Ibrahim and they came to Ponnani and settled there. He received preliminary education under Abubaker Fakhruddin of Kozhikode. Later he came to Makkah to pursue religious studies and remained there for seven years and then at Al-Azhar University for five years before returning to Ponnani. Sheikh Zainuddin, popularly known as Zainuddin Makhdum I, constructed the famous Makhdum Juma Masjid in Ponnani in 1519-1520, which was renovated in 1753-54. This mosque is a masterpiece of woodwork which was carried out under the leadership of a Hindu carpenter, who later embraced Islam and known as Asari Thangal. Sheikh Makhdum established a religious school near the masjid and started teaching there. He was given the title of Makhdum (a respectable person who deserves to be served) by the people of Ponnani. He died in 1522 at the age of 57. In his collection of Arabic poems, he had encouraged Malabar Muslims to fight against the Portuguese, the first European colonial invaders who were deadly against Islam and Muslims. The author of Tuhfa, Sheikh Zainuddin Makhdum II, was born in 1530 (938 H) as the first son of Muhammad Al-Ghazzali, who was the third son of Makhdum I. His father, Al-Gazzali, was a renowned scholar, qadi and grand mufti of northern Malabar. He constructed the juma masjid (Kunhippalli) in Chombal, near Mahe. His mother was a pious and noble lady from the Valiyakath Taraketti family of Chombal. Makhdum II had three children, Abubacker, Abdul Aziz and Fatima. He was born in Chombal and then came to Ponnani. Makhdum II too traveled to Makkah for higher education. During his 10-year stay in Makkah he mastered all branches of Islamic knowledge, especially Hadith. He was lucky to study under such eminent scholars as Imam Shihabudhin Ahmed bin Hajar Al-Makki, a renowned scholar and author of Fiqh of Shafii school of thought, and Abul Hassan Al-Siddiq Al-Bakari who taught him Sufism. Back from Makkah, Makhdum started teaching at Ponnani religious classes (dars), and he engaged in teaching there for about 36 years. He was not only an inspiring teacher but also a powerful orator. He established close relationship with eminent scholars of the Islamic world of that time. The prominent among them were his teacher in Makkah, Ibn Hajar Al-Haythami, who had visited Ponnani. It is said that the famous lamp made of stone, presented by Al-Haythami, is still kept in Ponnani Dars. Thousands of students gained light of knowledge by sitting and studying around this lamp. Fatwas issued by Al-Haiythami during his stay in Ponnani are still preserved carefully. Imam Muhammed Ramli and Imam Muhammed Khatib Al-Sarwini were other renowned scholars whom Makhdum II had close relations with. His circle of friends included eminent state leaders like Akbar, the Mughal emperor, Bijapur Sultan Ibrahim Ali Adil Shah, Muhammed Ali Adil Shah and the Samoothiri of Kozhikode. Makhdum often served as the envoy of Samoothiris to the rulers of Islamic countries like Egypt and Turkey for military assistance against Portuguese as he was well versed in Arabic and Persian. He died in 1583 and was buried in Kunhippalli, Chombal. He authored a number of books on Islam. Fathul Mueen is a revised version of his early work named Qurratul Ain. Published in different parts of the Islamic world with many editions, Fathul Mueen has been translated into many languages. It is a standard textbook of Fiqh in Sri Lanka, Singapore, Malaysia, Indonesia, Egypt and other countries. Tuhfatul Mujahideen, which means glory to the victory of martyrs, is perhaps the most important and renowned literary work of Makhdum II. It was written in Arabic between 1560 and 1583 and first printed and published in its Arabic original in Lisbon. 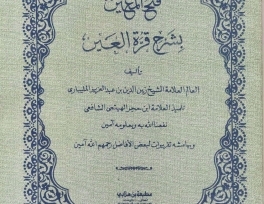 A copy of this edition has been kept in the library of Al-Azhar University and has been translated into several world languages.